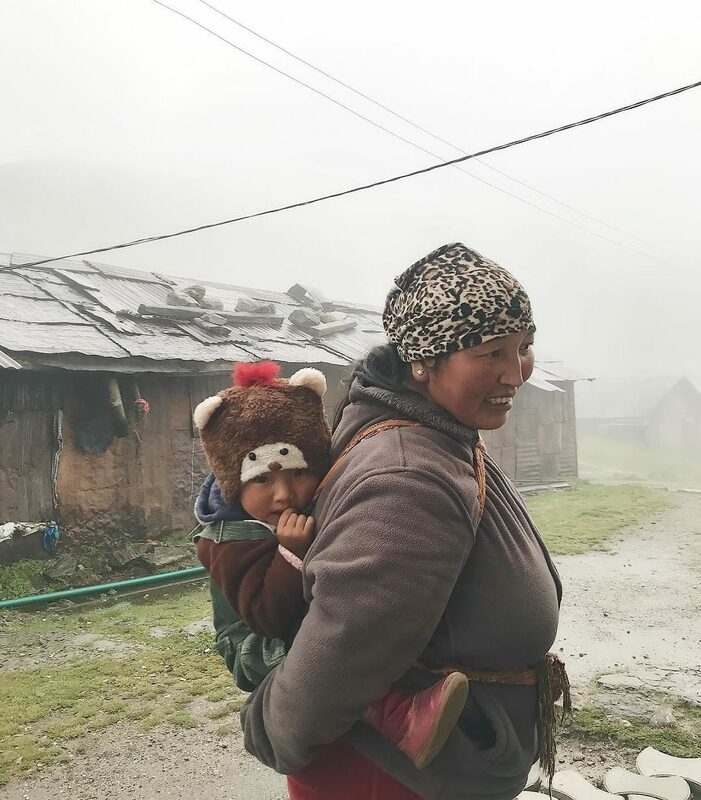 “I work for a travel company, so this was taken during one of our work visits to a homestay at Gnathang Valley which is at an altitude of 14,000 ft. The woman in the photo runs this warm homestay with her husband, who is posted in North Sikkim. In the picture is her baby Hissey, who is as adorable and caring as her mum. She had just finished serving us breakfast and I managed to take this picture of her and her baby.